Could you give the Gift of Independence? 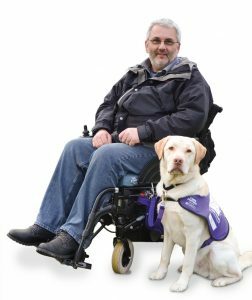 Our Gift of Independence sponsorship programme gives you the opportunity to play a vital role in the funding of an amazing life-changing partnership between a person with disabilities and one of our specially trained dogs. From the beginning of the journey when we first source the puppy right through to the dog’s retirement our Gift of Independence sponsorship programme allows you to choose how your generous donation is going to be spent in the journey to transforming lives. There are seven stages to our sponsorship programme. Our puppies are sourced from our own breeding programme or through our approved breeders. An introduction letter and photo of the puppy that we have been able to purchase with your gift. An update on when he, or she, progresses into advanced training at one of our training centres. An invitation to the partnership graduation ceremony, which normally takes place 12 months into the working partnership. At 8 weeks old, our puppies begin their journey with their volunteer puppy parent. They will learn the fundamentals of socialisation by visiting lots of new and exciting places that as adult dogs they will need to be used to when out with their partners. Your donation will go towards the fundamental costs involved in the puppy’s upbringing and training including food, toys and vet bills. A second update around six months in to their training to let you know how they are getting on. You can opt to purchase the puppy and support the puppy training for £5,000 which enables you to name the puppy too. After 12-14 months with their puppy parent, the now young dog will join us at one of our training centres for their Advanced Training Course, which typically lasts 17 weeks. This is when the dog will learn the crucial skills necessary to support a person with disabilities. At the end of its training, the dog will be matched and learn the specific skills needed for their partner’s needs. An introduction to, and a photo of, the puppy when it first came into training, along with an overview of how this went, plus the details on where your dog is in advanced training. An update during his or her advanced training on how he or she is progressing. An update and a photo of the dog as he or she comes to the end of the two-week training course with his or her new partner. An invitation to the graduation of the partnership which normally takes place 12 months into the working partnership. A second update at around six months into its puppy training. Another update when he or she progresses into advanced training. Another update and a photo of the dog as he or she comes to the end of the two week training course with his or her new partner. An invite to the graduation of the partnership which normally takes place 12 months into the working partnership. Following successful completion of the Advanced Training and the partnership is formed, we then provide ongoing aftercare for the duration of the partnership, on average 10 years. 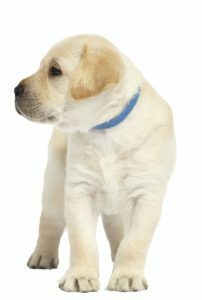 An introduction to and a photo of, the puppy when it first came into training and an overview of how the dog progressed through all of its training. An update and a photo of the dog as he or she comes to the end of the two-week training course with their partner. Another update of how the actual partnership is progressing. Give the Gift of Independence to a person with disabilities by choosing to sponsor the lifetime of a partnership. 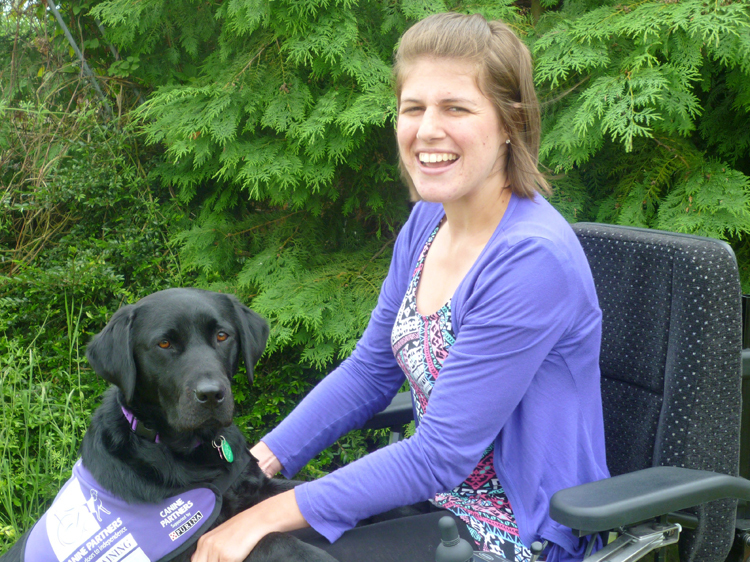 You could help us create an amazing partnership by giving the Gift of Independence today. 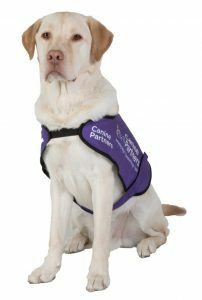 If you have any questions about our Gift of Independence sponsorship programme please contact us, on 01730 716051 or email giftofindependence@caninepartners.org.uk. Visit our Fundraising Toolkit to download printable resources to share with your friends, family and local community. Get in touch with our Gift of Independence team who will be happy to help.